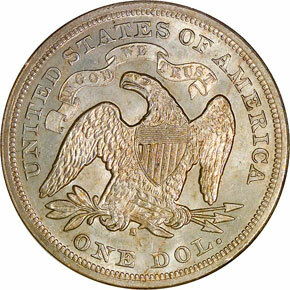 The 1872-S is the only readily collectible Seated Dollar with Motto from the San Francisco Mint. 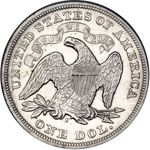 The 1870-S, with an unknown mintage and only 10 coins extant, is unobtainable for all but the most wealthy numismatists, and the 1873-S has not been reported in any collection, all 700 coins produced presumably having been melted. 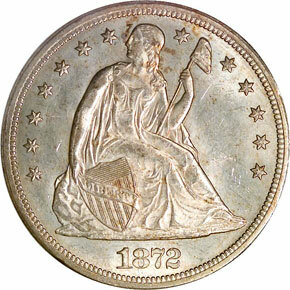 Mint State 1872-S Seated Dollars are condition rarities in their own right, a fact explained by the circumstances surrounding the distribution of this issue. After producing virtually no Silver Dollars since 1859, the San Francisco Mint became active once again in 1872 with the delivery of 9,000 coins. Examples seem to have suffered each of the three fates that were most active in claiming Seated Dollars: exportation, melting, and circulation. A certain number of coins were undoubtedly exported to the Orient in the year before Trade Dollar production commenced, the proximity of San Francisco to the Far East makes this a very tempting conclusion. It is also likely that a limited number of examples were placed into domestic circulation, for enough worn coins have survived to satisfy demand from less discerning date collectors. 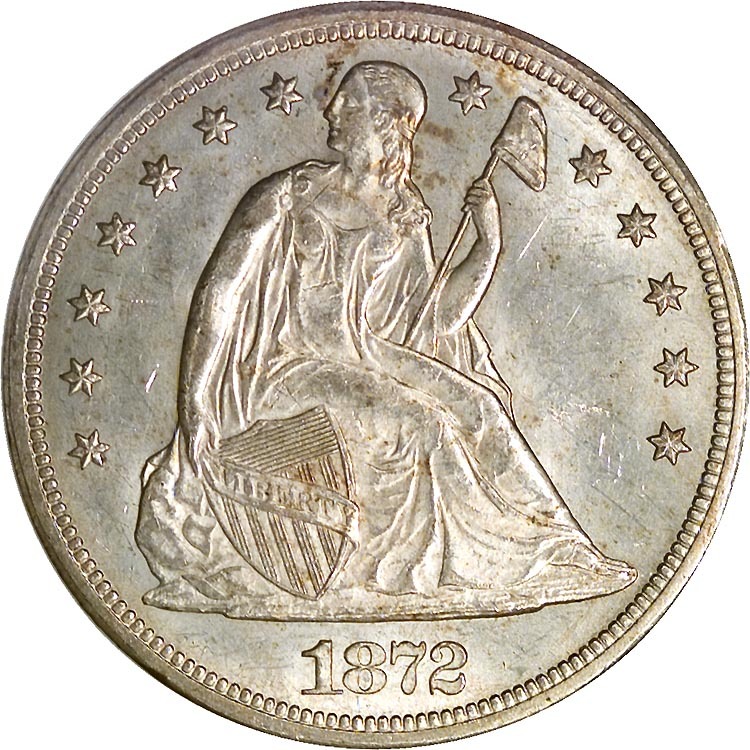 Those coins that did not leave the Mint for one of these two reasons were probably melted after the Mint Act of February 12, 1873 abolished the Silver Dollar. 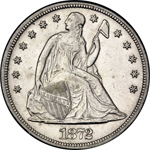 With such odds against it, coupled with the lack of a collecting community in the 1870s that appreciated branch mint issues, it is little wonder that any Mint State 1872-S Dollars have survived.